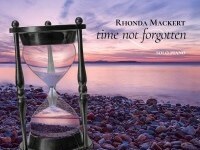 Rhonda grew up in the mountains of Colorado where she began taking piano lessons at age eight. At twelve she changed her musical focus to the flute. As an adult, she moved back to the piano where she found greater freedom of expression. In response to requests from friends and family, Rhonda recorded and released her debut CD, “When the Moon Cries” in the fall of 2007. It was well received, being featured and played on solo piano radio stations and placing fourth in the 2009 Just Plain Folks awards for Best Album, Solo Piano category. Her second CD, “A Wild Beauty” was released in November 2011 and was nominated for Contemporary & Modern Album of the Year at SoloPiano.com. One of the songs from this CD is featured on the Whisperings Solo Piano Volume 2 compilation CD. 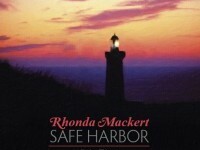 In December 2014, Rhonda released her CD, “Safe Harbor”, which was also nominated for Contemporary and Modern Album of the Year at SoloPiano.com. Her most recent release, The Wonder of Christmas, is a collection of 11 traditional and 2 original Christmas carols. One of the songs from this CD is featured on the Christmas Whisperings 2 Solo Piano compilation CD. This October 2015 release, was also named 2015 Christmas and Holiday Album of the Year at SoloPiano.com.